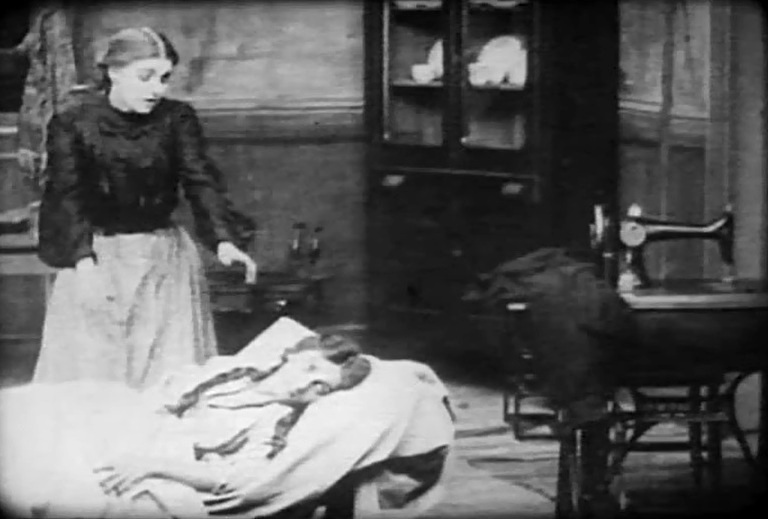 "The Song of the Shirt" is a short, but poignant social drama directed by D.W. Griffith. The film is included in our program to illustrate the contributions of our stars Florence Lawrence and cinematographer Billy Bitzer. Arthur Johnson has a small part as a waiter, and Robert Harron appears as a stock boy. A young seamstress desperately looks for work, trying to help her very sick sister. Florence Lawrence is by Linda Arvidson's side in "The Song of the Shirt" (1908), directed by D. W. Griffith, cinematographer Billy Bitzer. 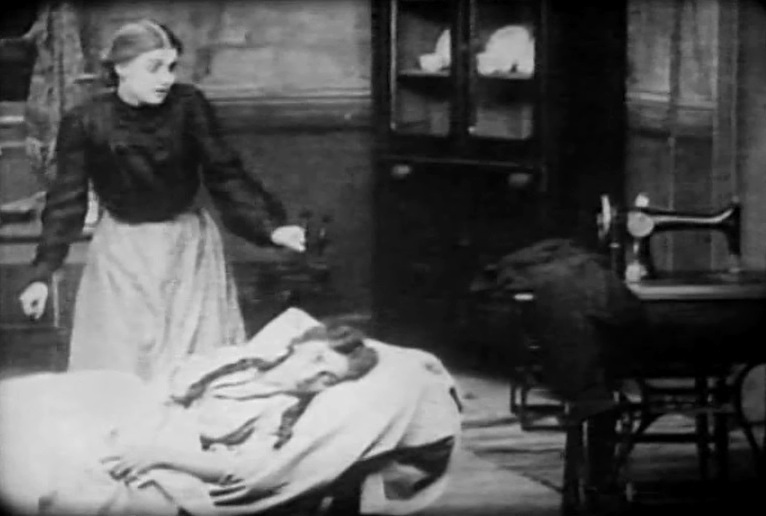 Florence Lawrence is heartbroken that she can't help Linda Arvidson in "The Song of the Shirt" (1908), directed by D. W. Griffith, cinematographer Billy Bitzer. 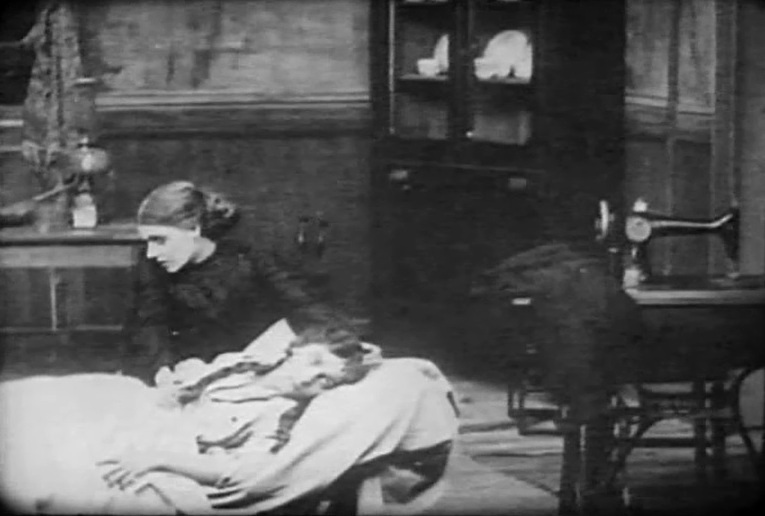 Florence Lawrence is determined to help Linda Arvidson in "The Song of the Shirt" (1908), directed by D. W. Griffith, cinematographer Billy Bitzer. Florence Lawrence is hopeful to find work in "The Song of the Shirt" (1908), directed by D. W. Griffith, cinematographer Billy Bitzer. Florence Lawrence hangs around hoping for some work in "The Song of the Shirt" (1908), directed by D. W. Griffith, cinematographer Billy Bitzer. 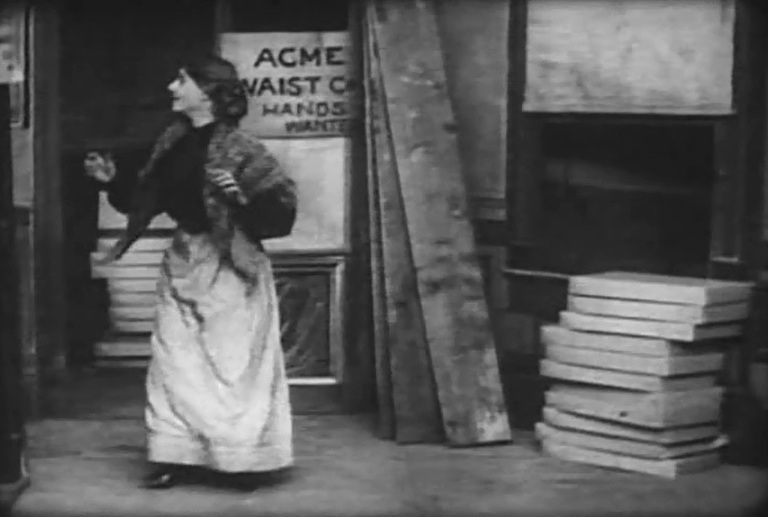 Florence Lawrence begs the manager for work in "The Song of the Shirt" (1908), directed by D. W. Griffith, cinematographer Billy Bitzer. Florence Lawrence is rebuffed but doesn't leave in "The Song of the Shirt" (1908), directed by D. W. Griffith, cinematographer Billy Bitzer. Florence Lawrence finally is offered some work in "The Song of the Shirt" (1908), directed by D. W. Griffith, cinematographer Billy Bitzer. Florence Lawrence pleads for work again in "The Song of the Shirt" (1908), directed by D. W. Griffith, cinematographer Billy Bitzer. 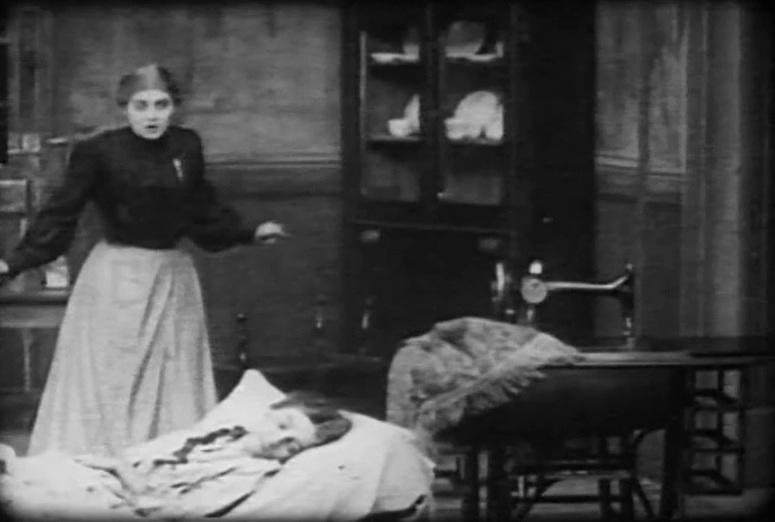 Florence Lawrence realizes that Linda Arvidson has left her in "The Song of the Shirt" (1908), directed by D. W. Griffith, cinematographer Billy Bitzer.